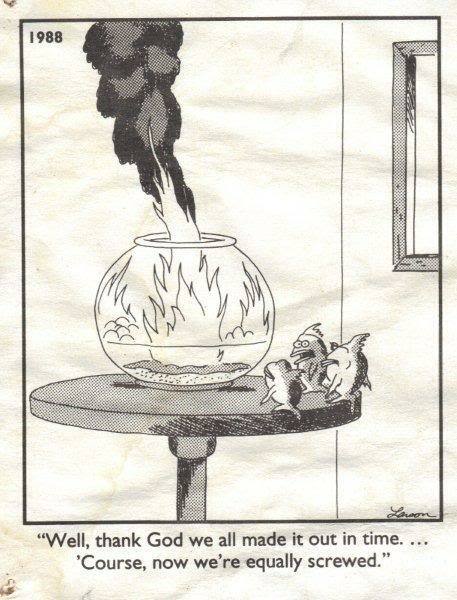 We are taking a slightly different approach to our aquarium meme roundup this weekend. 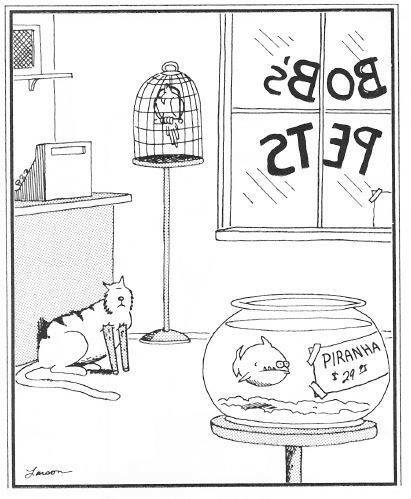 In fact, use of the term “meme” really doesn’t apply in this case since we have actually gathered up a bunch of old comic strips. 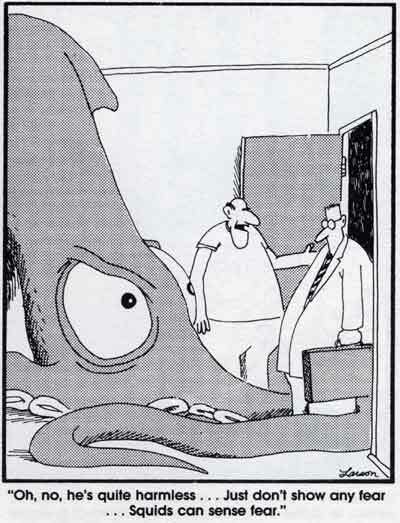 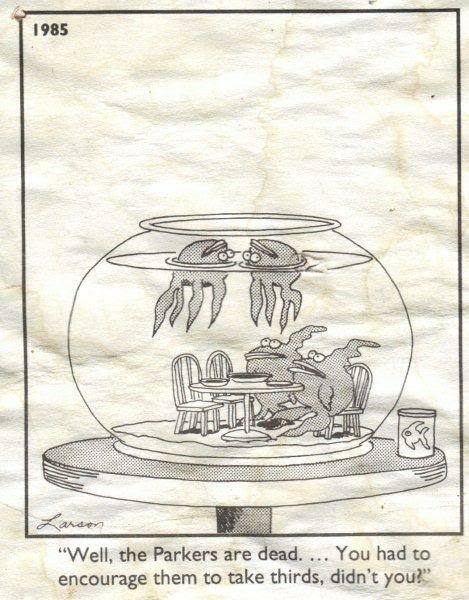 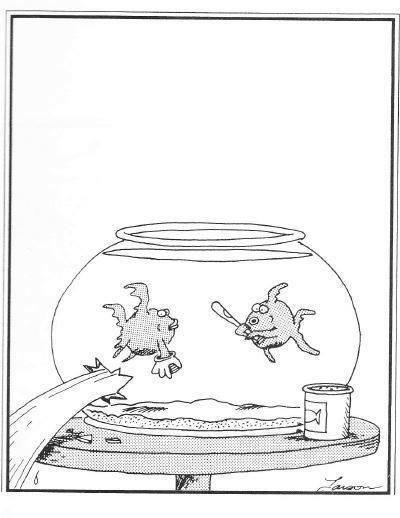 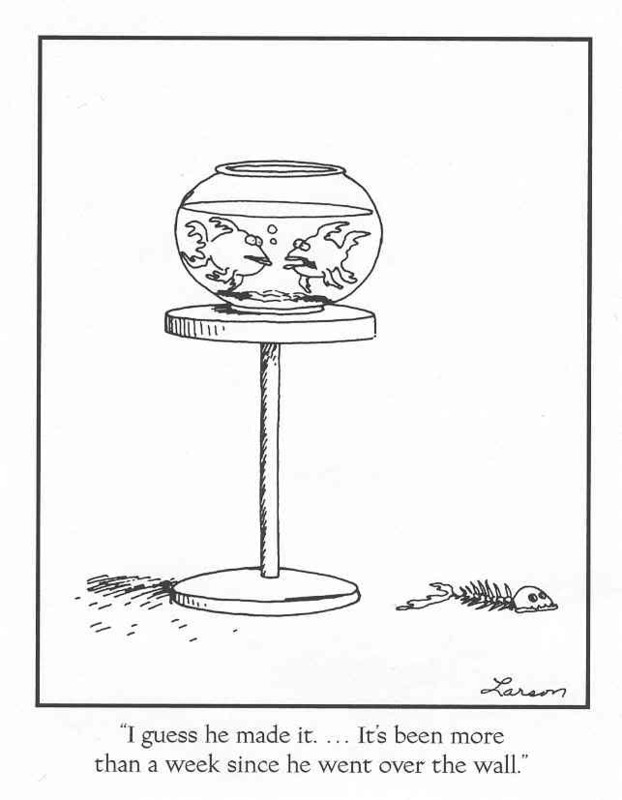 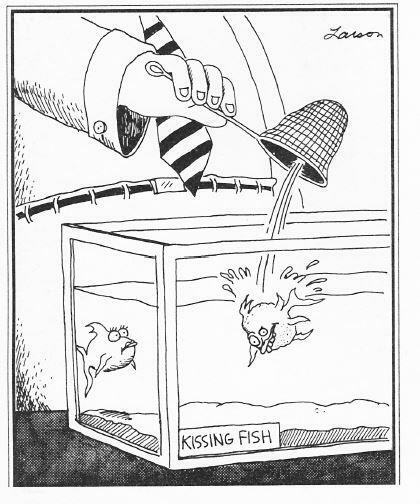 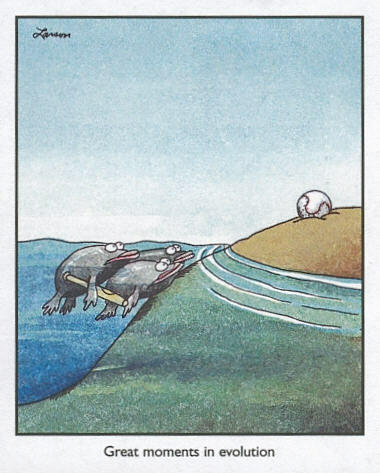 Gary Larson has long been a favorite artist of ours, and his The Far Side comics have kept us chuckling for years and years. 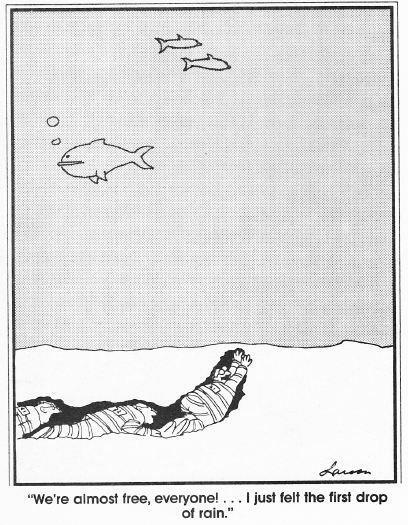 His illustrations have focused on humans and animals alike, and inevitably aquariums and ocean life were the focus on several occasions. 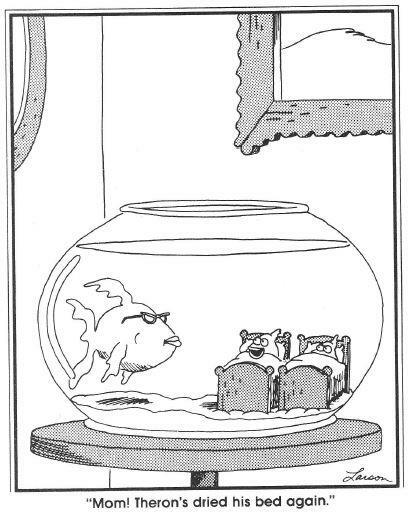 We hope you enjoy this comic roundup as much as we have, and as always, if you would like to send a few more our way for next weekend’s roundup, hit us up on our Contact page.